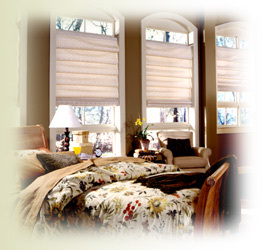 Sleek and sophisticated, Vignette Modern Roman Shades consistently present a clean, neat appearance. 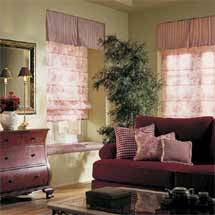 Beautifully designed front and back without gathers, cords or grommets, the soft overlapping fabric folds give them their distinctively elegant styling. 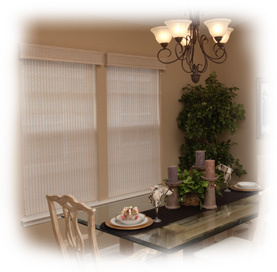 Combining the classic look of a custom drapery with the ease and convenience of a shade, these shades are concealed inside a fabric-covered headrail for a completely uncluttered look when raised. Now available with the Top-Down/Bottom-Up lifting system, Vignette has never been more versatile. 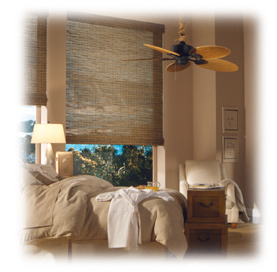 Made from select natural woods, including reeds, bamboos and grasses, Provenance woven wood shades are uniquely textured, adding casual good looks to any room. 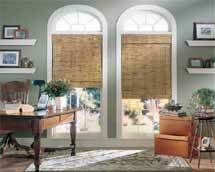 When lowered, these woven wood shades lie flat; when raised, the woven woods hang in even, overlapping folds. 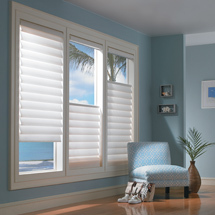 Hunter Douglas' Jubilance Roman shades allow you to easily coordinate your window treatments with your room décor with dozens of fabric offerings that can be ordered in cut yardage to use for pillows, table cloths and other thoughtful design details. 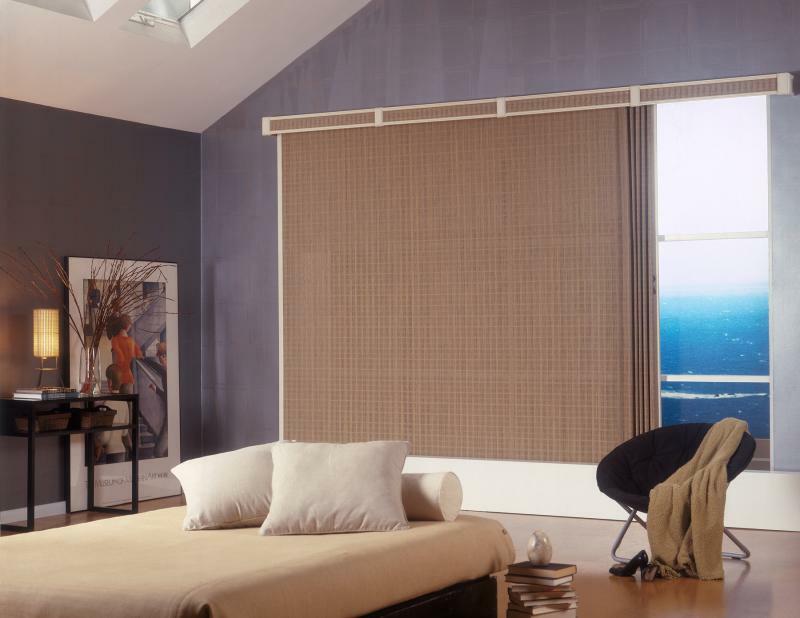 When these roman shades are raised, the fabric stacks evenly in wide panels; lowered the shades reveal a smartly tailored styling.